TRCW specializes in Corrosion Resistant Alloy Welding which includes, but is not limited to, Inconel 625 inlays and overlays, as well as Stellite overlays. 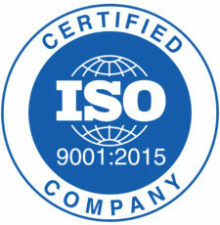 TRCW, which is ISO 9001:2015 certified in Machining, Welding and Fabrication, has large Milling and Turning capabilities in addition to Hot and Cold GTAW welding processes to provide their customers with a complete turnkey service. 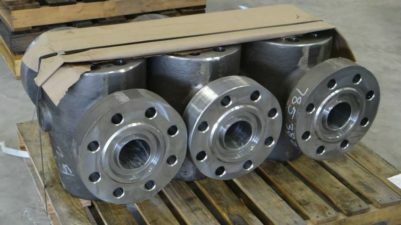 The company executes work on drilling riser and blowout preventers as well as manufacture, re-manufacture and repair of Frac Valves, Spools, Blocks, Flanges and other various Wellhead components. Further, TRCW provides inhouse Stress Relief, NDE Magnetic Particle examination, Liquid Penetrant examination and Hardness Testing. The company’s goal is to simplify your manufacturing and procurement process by offering a One-Stop Shop service. 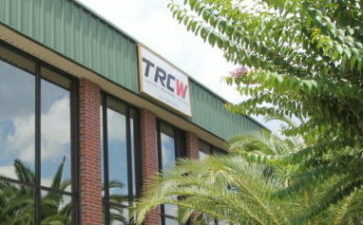 TRCW specializes in the Manufacture and Remanufacture of Pressure Control and Wellhead Equipment. Contact us to inquire about our capacity and capabilities. © 2018 TRCW, LLC. All rights reserved.